MLN, mobile laptops & notebooks are the mobile computing specialists. We are a specialist provider of mobile computing related products based in Melbourne. We understand notebook computers and related mobile computing products and services. Our laptop specialist stores are growing and we are proud to serve all of Australia with our expert advise and service. Our extensive range of Mobile computing products and services help organisations and individuals to take advantage of new opportunities presented by new technologies in this new world. All available products are only those of which our experienced staff would recommend. We are authorised Resellers of all brands we deal with. All of our new products come with full factory warranty. 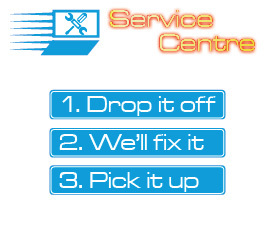 We provide all of our customers with after-sales support and are sensitive to their setup needs. We are specialists because we focus on dealing in notebook computers, and all of our sales staff are also notebook technicians, enabling them to understand what they are providing to our customers. We have tens of thousands of satisfied customers throughout Australia. 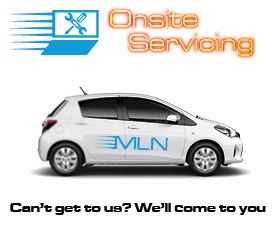 All products provided through MLN come with a warranty. We are an Australian based and owned company. We provide our customers with the most competitive pricing in Australia. We deliver all of our products to any corner of Australia via a fully insured method. Notebooks can be sent to anywhere in Australia via a fully insured method for as little as $29. We ensure that all of our accessories are compatible with our product range. We operate out of various locations that are made of real bricks and mortar. We have five retail locations across Melbourne. Our showrooms are real showrooms with real products you can see and inspect, so you always have the security of knowing we are a real online and real time business with many expanding and new locations. With our product range and quality, combined with the knowledge and know-how, we match notebooks to our clients needs, offering them the most cost-effective and viable solutions. Simple online shopping; just add the desired item, follow the instructions and you will receive an email containing all the information you require to complete your transaction. We invite you to a new online and retail shopping experience with our tailor-made specialist mobile computing advice.